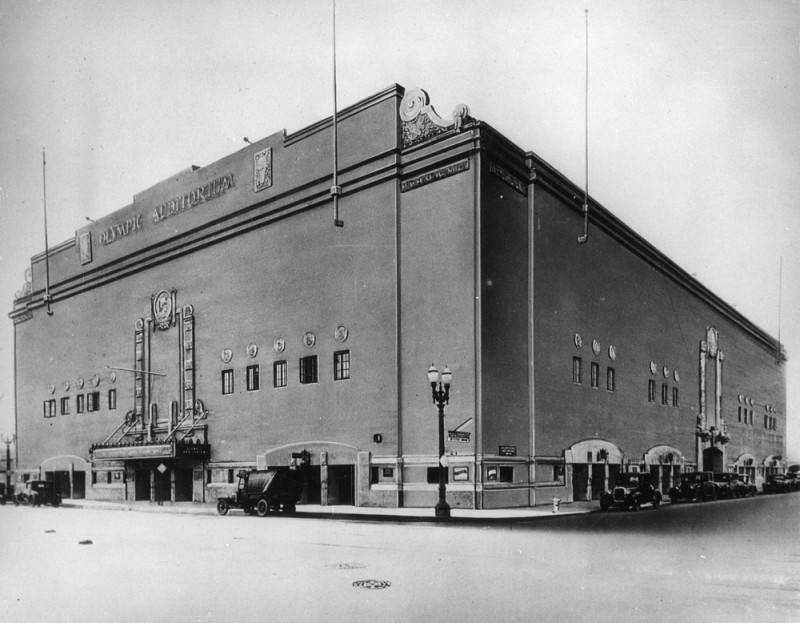 For more than 90 years, the corner of 18th and Grand has been dominated by the massive Grand Olympic Auditorium. The longtime sports center is now a Korean-language megachurch, but was built as a boxing arena in 1925. 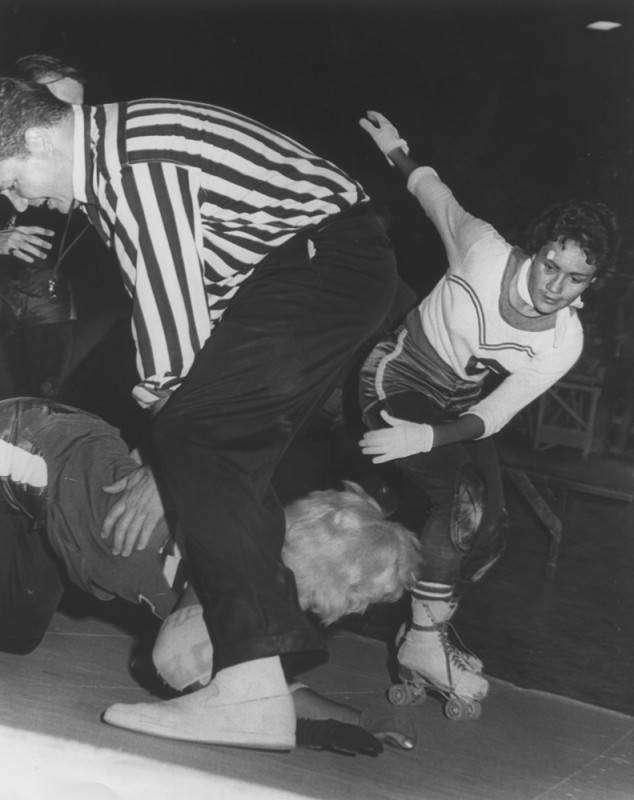 A new documentary film in the works tells the story of this landmark, and the boxers, wrestlers, punk rockers, and roller derby girls who used to call it home. 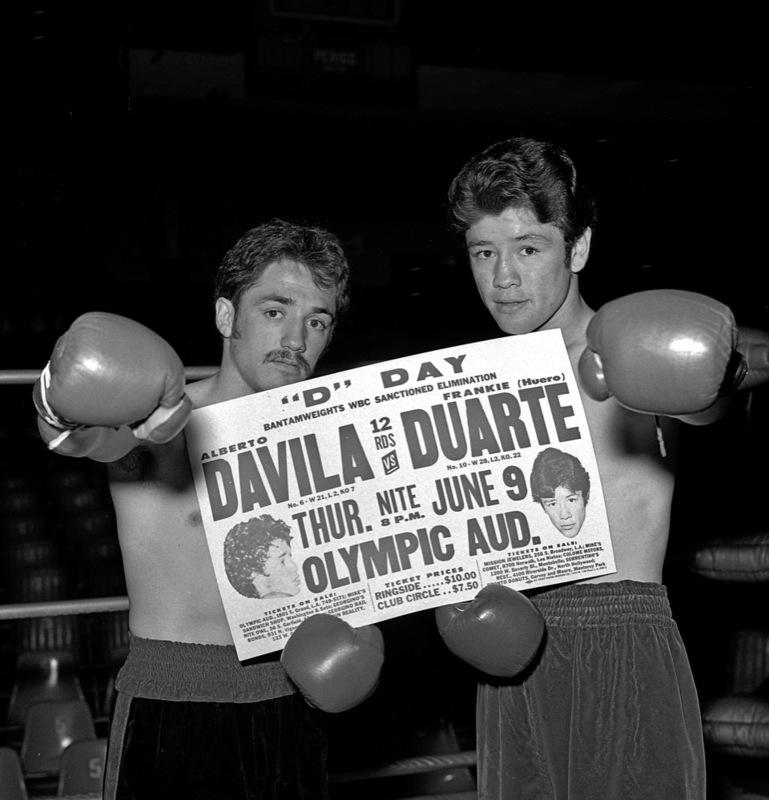 On October 4, the California Historical Society and LA Plaza de Cultura y Artes will host a reunion of athletes who competed there, and screen excerpts from the upcoming documentary film 18th & Grand. 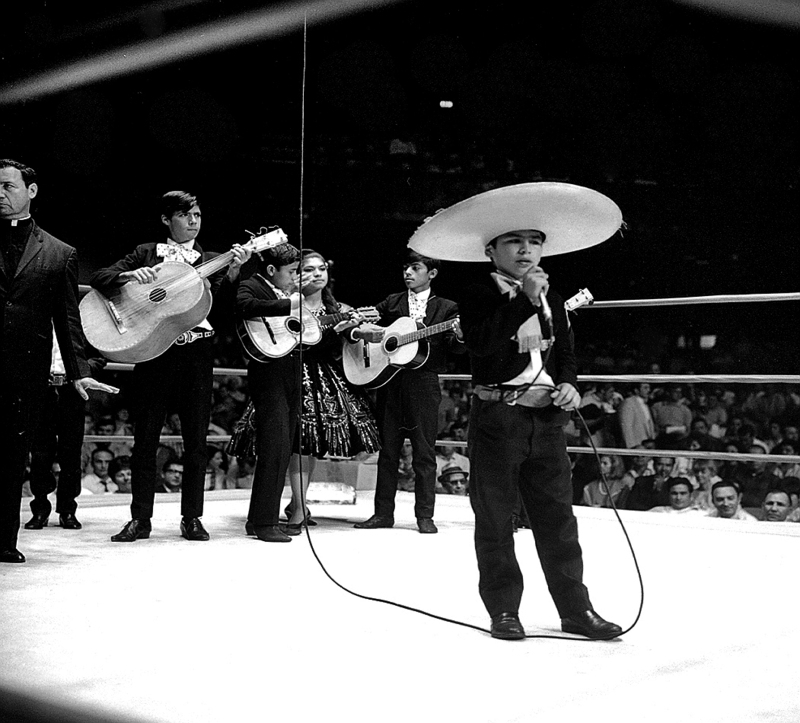 Historians Gene Aguilera (Mexican American Boxing in Los Angeles) and Rock Rims will interview boxing champ Frankie Duarte, wrestler Mando Guerrero, and skater Honey Sanchez of the L.A. T-Birds. Architect Gilbert Stanley Underwood, known for his glorious Ahwahnee Lodge in Yosemite National Park, designed the space as a boxing arena and convention center, but one that could also accommodate opera and ballet. 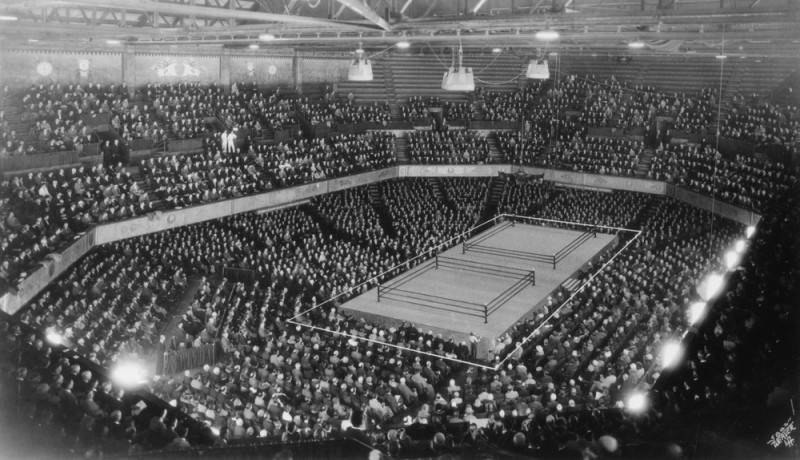 More than 15,000 cheering patrons packed the opening night bout on August 5, 1925. 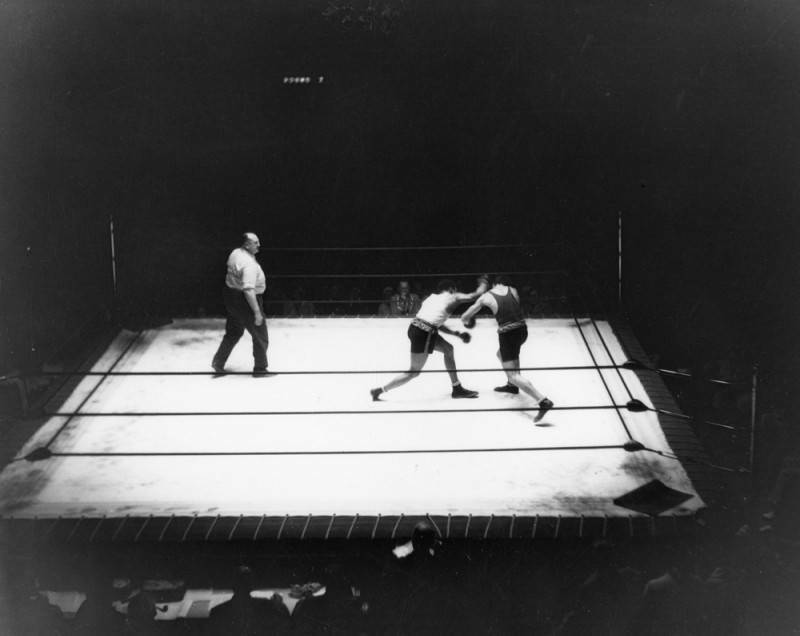 Canadian gold medalist Horace “Lefty” Gwynn Vs. Germany’s Hans Ziglarski (right) in the bantamweight final during the 1932 Olympic Games. The hall hosted the boxing, wrestling, and weightlifting competitions of the 1932 Olympic games and thrived as a sports venue with deep roots in the Spanish-speaking community of Los Angeles into the 1980s. Glory Church of Jesus Christ took over the property in 2005. L.A. T-Birds Coco Graves battles Ann Calvello at the Olympic Auditorium July 21, 1964. Director Steve DeBro has been working on this film for years. 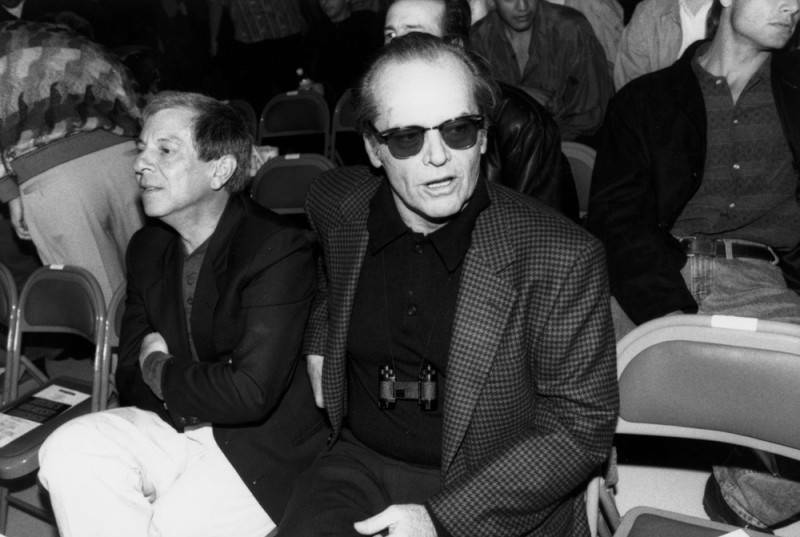 Go see the rare footage and treasures he has unearthed from this fading sports mecca while listening to the voices of the Angelenos who were there.